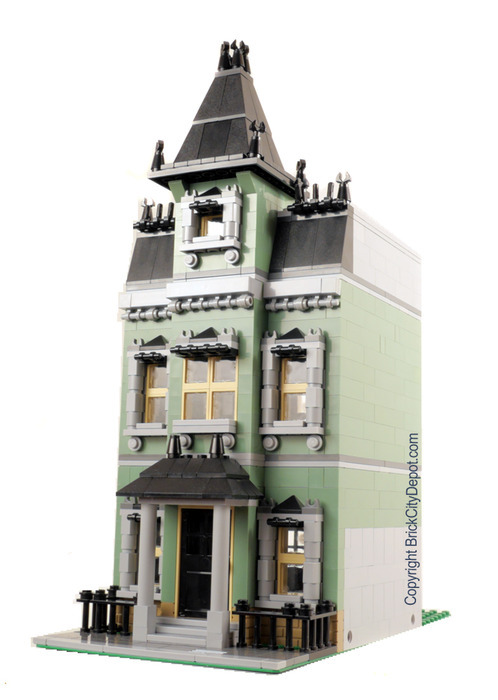 This great little alternative model uses the pieces of 10228 Haunted House, plus 30 common pieces. 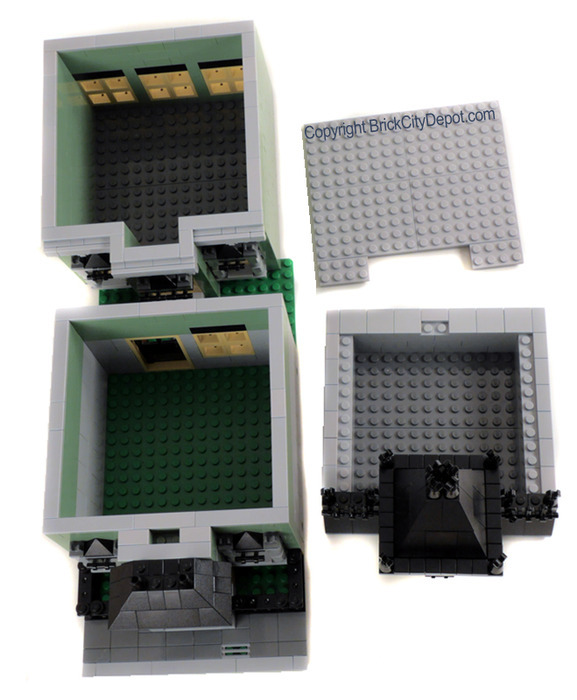 These 30 pieces were necessary to make the model fit in with other modulars adhering to the Cafe Corner standard. This house does not include instructions for a detailed interior.